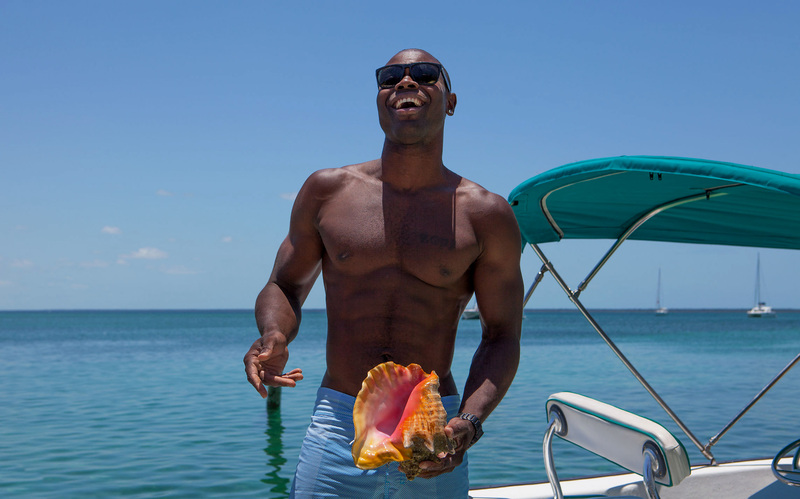 We were boating around the Abaco Islands and met this man who had been diving for Conch. This was during an assignment for Discovery Land Company at Baker's Bay on Grand Guana Cay. Photograph by Lifestyle Resort photographer John Lair of Miami Beach Florida.